Merck & Co might be able to find another use for its immunotherapy Keytruda in first line head and neck cancer, after revealing promising phase 3 trial results. US-based Merck said the pivotal phase 3 trial investigating Keytruda monotherapy as a first-line treatment in recurrent or metastatic head and neck squamous cell carcinoma (HNSCC) had met one of its targets in tumours expressing high levels of the biomarker PD-L1. An interim analysis showed the trial met a primary endpoint of extending overall survival, compared with the current standard of care, which is Erbitux (cetuximab) from Germany’s Merck KGaA in combination with platinum chemotherapy plus 5-fluorouracil. The results are based on a provisional analysis issued by the Independent Data Monitoring Committee, which found Merck’s drug contributing to “significantly longer patient survival rates”. Keytruda did not manage to meet the other primary endpoint of progression-free-survival at the time of the interim analysis. But the past examples show that overall survival rates are often more important for regulators and might lead to approvals on the grounds of extending the survival rate, especially in oncology. 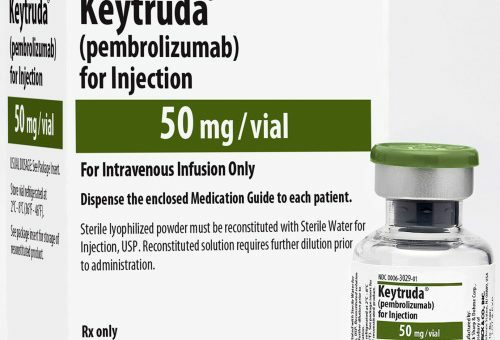 Keytruda is currently approved for HNSCC but as the second line treatment in patients who do not respond to Erbitux. If the initial results are confirmed by later trial data then Merck could get Keytruda approved in an indication where its rival, Bristol-Myers Squibb’s Opdivo (nivolumab) is yet to be approved. Worldwide, there were approximately 686,000 new cases of head and neck cancer in 2012, and around 376,000 died from this disease. In the US, there were an estimated 63,000 new cases diagnosed in 2017.